Arntson and Severson are keen observers of water in the landscape. Arntson's paintings examine time and place as revealed in the contemplation of different bodies of water, exploring variations of color and texture that make up a "portrait" of a particular body of water. 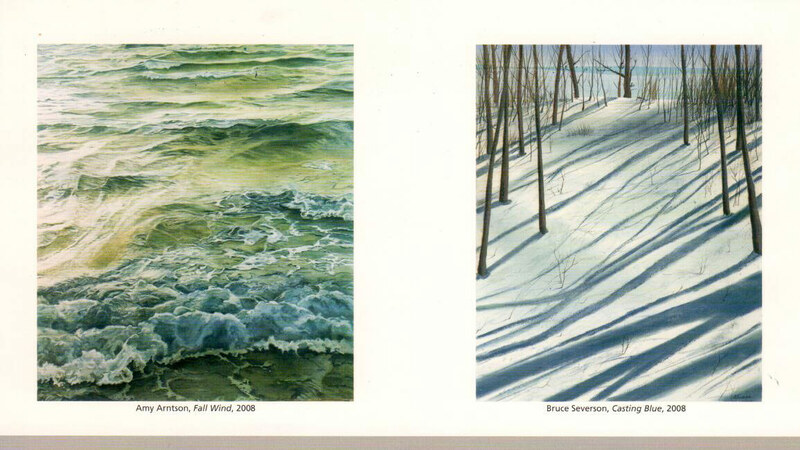 Severson's pieces are based on his observations of Lake Superior.